Readers and the public at large who became interested in the protection and preservation of our heritage would recall the initiative of the Willie Redhead Foundation (tWRF) earlier in the year to restore York House to its former glory. Since February 2014, when there was a public outcry to save this national heritage site, there has been a muted, prolonged and sincere dialogue with the parties concerned to make the restoration a reality. Many months have passed, but one of the first agreed initiatives to begin the process of restoration, that is, to have the building and site inspected by the appointed engineers, took place on Tuesday 9 September at 9:30 in the forenoon. The second stage to follow is the cleaning and clearing of the debris by the Ministry of Works through to the tendering process, then to have the building stabilised and ready for restoration. The inspection took the better part of two hours and the consensus reached by all participants was that the structure was sound, and the restoration of York House could be achieved given the professional expertise available locally. 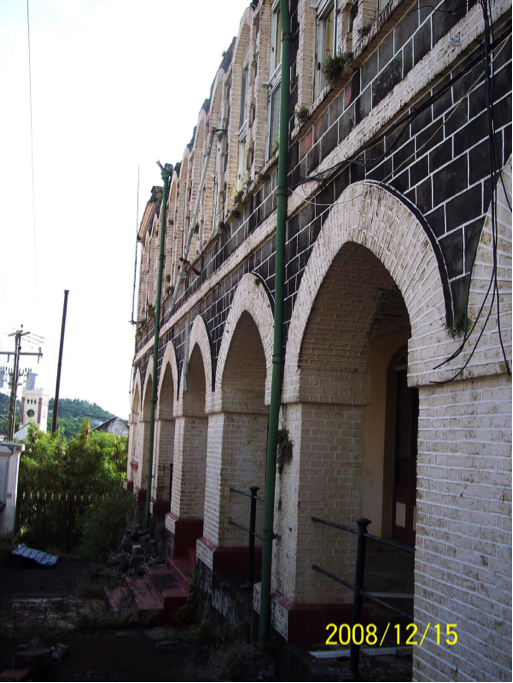 It is interesting to note that the findings of the 2014 Inspection Committee, although 6 years later, are in agreement with a report prepared by Engineer Selwyn Woodroffe in 2008, at the behest of the then Attorney General Jimmy Bristol, which reinforces the initial assessment report of the foundation that the structural integrity of the building after Hurricane Ivan was not compromised, and that restoration was indeed the way to go. It was the understanding by members of the Inspection Committee that a report on its findings would be prepared by Engineer Nigel Noel of the Ministry of Works, who would present the report to the Chief Technical Officer and copied to the other members of the Inspection Committee. Although the Sentinel is aware that the report has been completed, up to the time of going to press a copy of the report, it has not been received by the Willie Redhead Foundation. It is our fervent expectation that the commencement of the second stage; that is, the cleaning of the building and site, would not be as prolonged as the achievement of the first stage. The Willie Redhead Foundation takes this opportunity to thank the Ministry of Works, the Parliamentary Representative for the Town of St George and the Ministry of Culture and Heritage in continuing to move the process forward in the interest of our culture, heritage protection and national identity.